Fashionistas know that the key to a put together wardrobe are accessories. But let’s face it, if you keep buying accessories, you’ll pretty much end up bankrupt. Which is why it pays to be a little crafty! 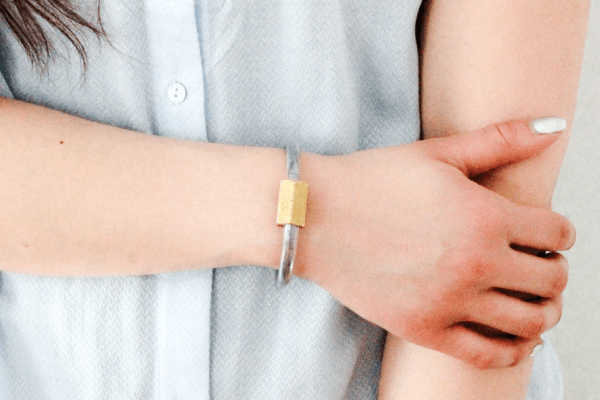 These easy DIY bracelets are just one of the many things you can create on your own that costs way less than those you can find in shops. 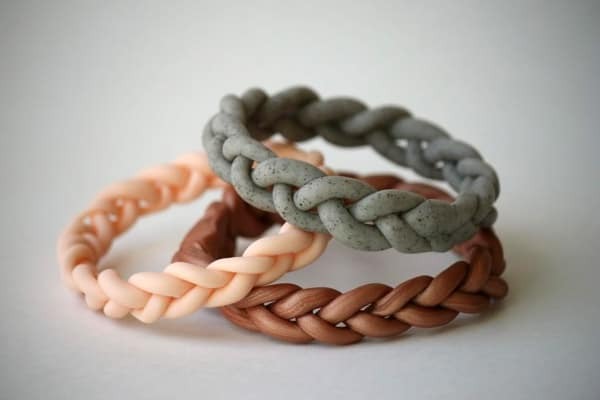 Even for a beginner, these bracelets are a cinch to make. 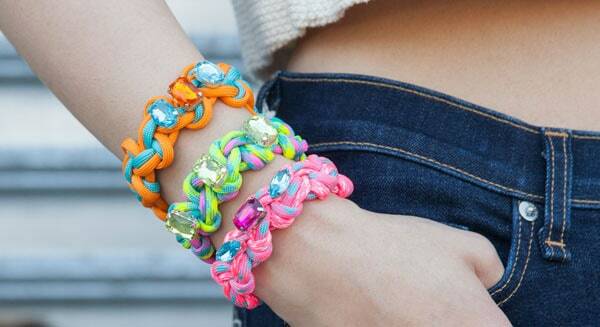 Check out our list of 22 easy DIY bracelets and see how many you can make in an hour! 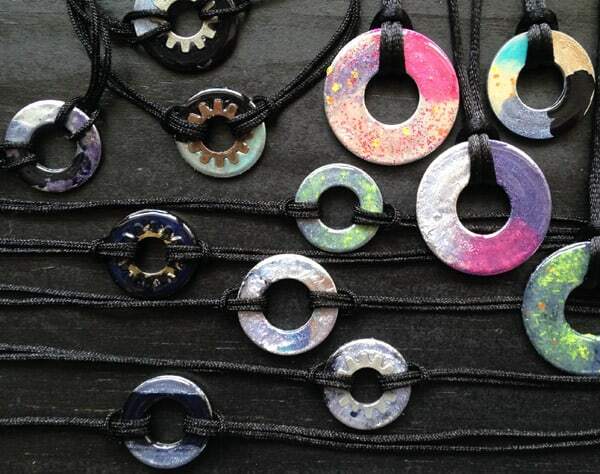 Making jewelry out of metal washers is not a new concept. There are a lot of great ideas out there and ways to go about it. These are kid-friendly instructions with no engraving techniques, spray painting or complicated clasps. The supplies are simple. The assembly is really pretty simple. Layer the beads on the pin, enough beads so that the pin just barely closes. 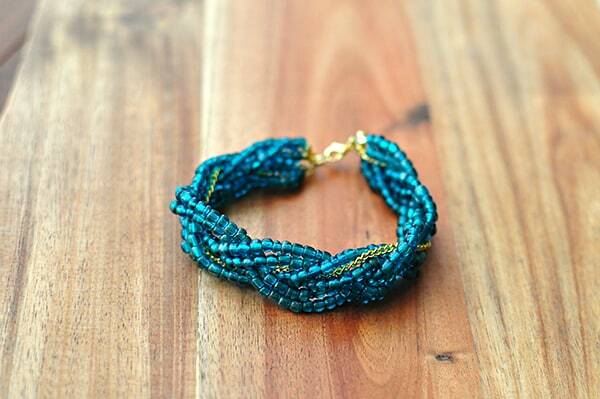 This bracelet is perfect for using beads or chips that have been in your life for a little too long! Using some candy-colored embroidery floss and your familiarity with the chevron friendship bracelet, you’ll be able to whip up one of these tokens of love in a heartbeat. This will be perfect for Valentine’s! 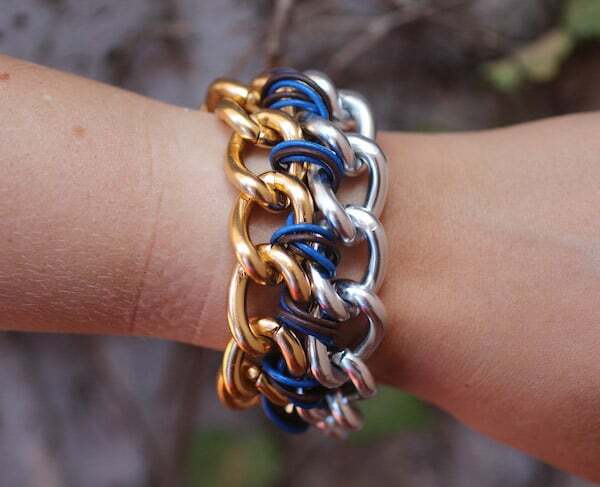 This bracelet is incredibly easy to make. It’s a great beginner project, and while variations of it have definitely been done before on other DIY blogs, the gold and silver chains look great paired together. 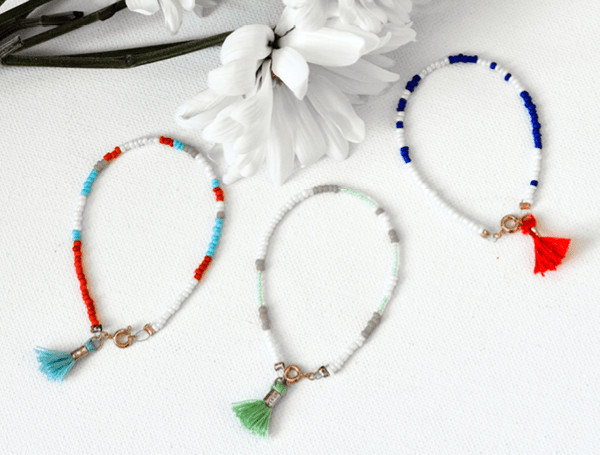 Make a playful, yet chic beaded tassel bracelet, that will perfect for your own personal arm candy. 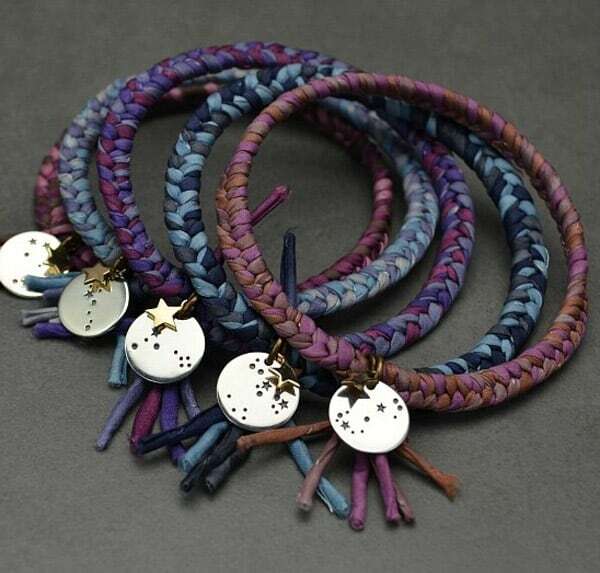 Inspired by seed bead bracelets and morse code jewelry, these mini seed bead bracelets, each is encoded with secret little messages. Because the Miyuki Delica seed beads are super tiny, you’ll need a wire beading needle to help you string the beads onto the embroidery floss. Anchors are cute because of their simplicity and vintage inspiration. 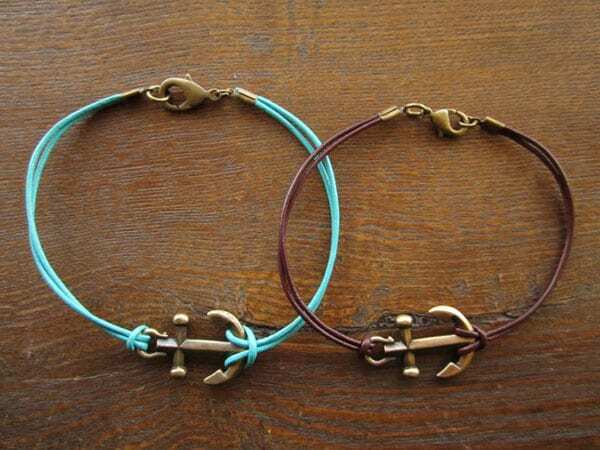 This bracelet showcases an anchor with a pop of color that is great for layering. 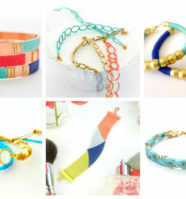 Inspired by the Rope Hawley Bracelet at the Anthropologie store. Here’s a cute similar and prettier version for a fraction of the cost! These could easily be created for any color scheme with the addition of a strip of fabric or some ribbon! You can use a number of different materials in monochromatic or coordinating colors. If working with four strands become too hard for you, you can do it in three strands. 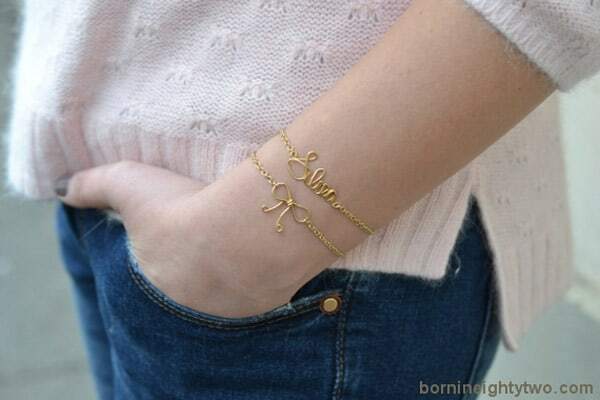 Add a pop of different color – as the gold chain was added here. Vinyl tube bracelet with pipe coupling for the hardware. Loving the simplicity of this one. Plus, you can never go wrong with a dark gray extra-fine glitter. 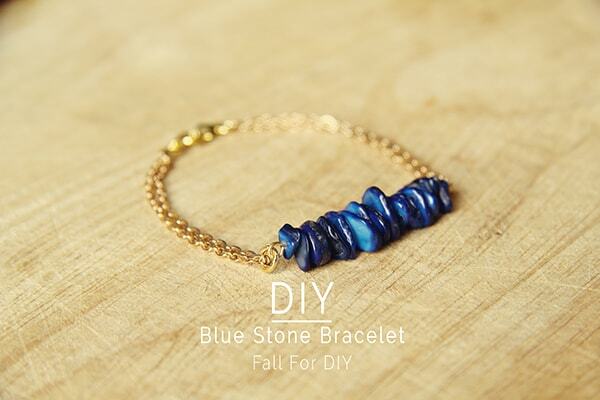 This bracelet is fairly simple to complete once you get past the first 3 links. Getting the chain to line up correctly can be a little frustrating but after those first few steps, it will come together quickly. 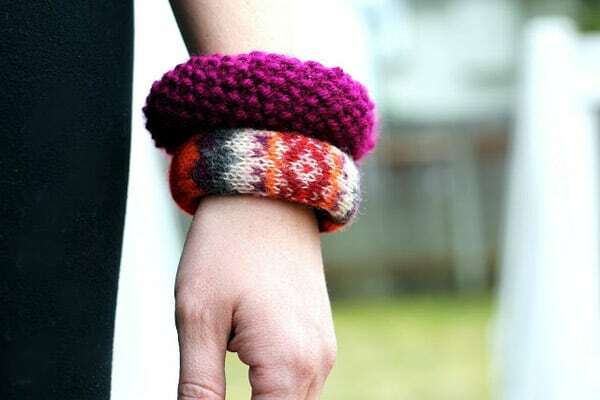 Give new life to old knit sweaters that are dusting away to make a unique bangle. 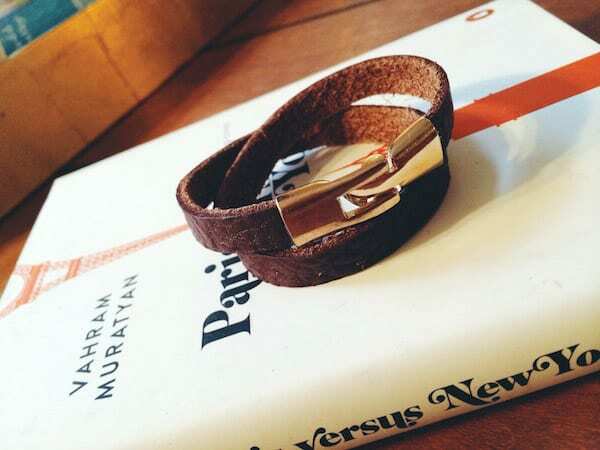 This is the sort of cuff that goes with everything. Easy and simple. They make a great gift, too. 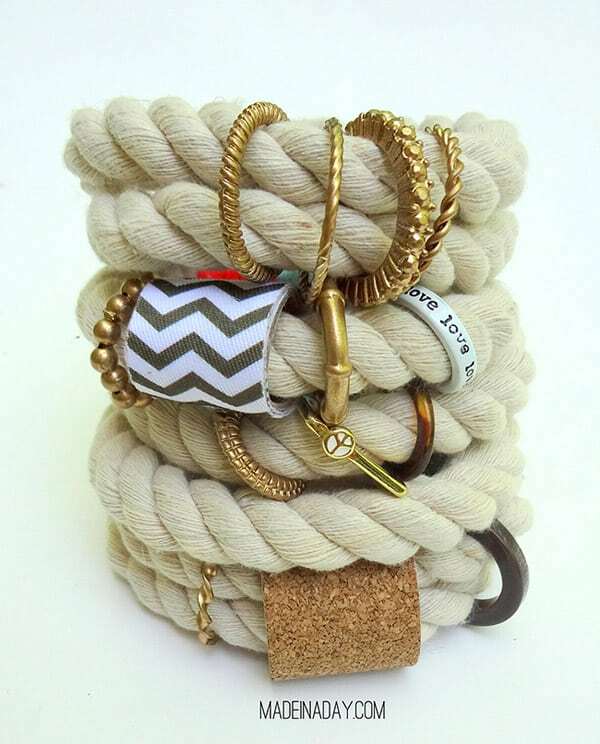 Inspired by Tory Burch double wrap logo bracelet, this DIY uses brass fasteners for the hardware. 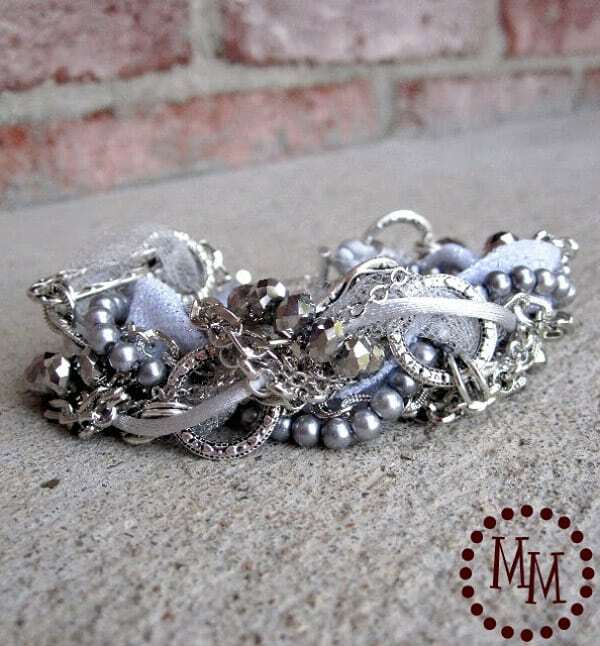 Go big and bright when you tie the knot with a stack of these bedazzled bracelets. 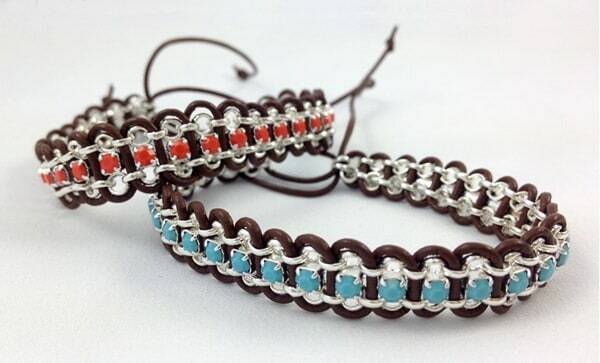 A mix of vibrant paracord offers a bold, statement-sized twist to the traditional friendship bracelet; and the added sparkle of a few colorful gems will make your creation radiate fun all day long! 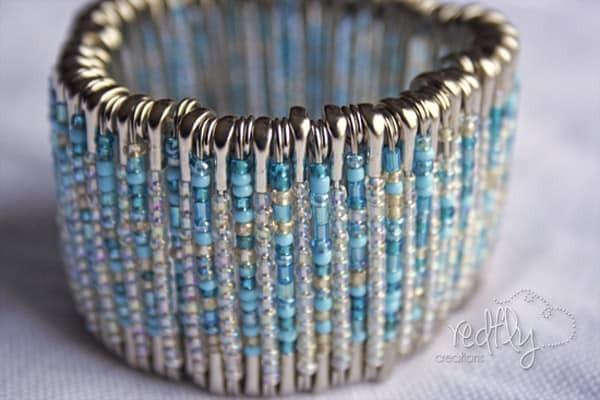 This basic ring bracelet has beads on a nylon thread as the middle piece. This particular design is relatively delicate and minimal, using small transparent rocailles beads with a turquoise center, but feel free to use any other color/shape you like. 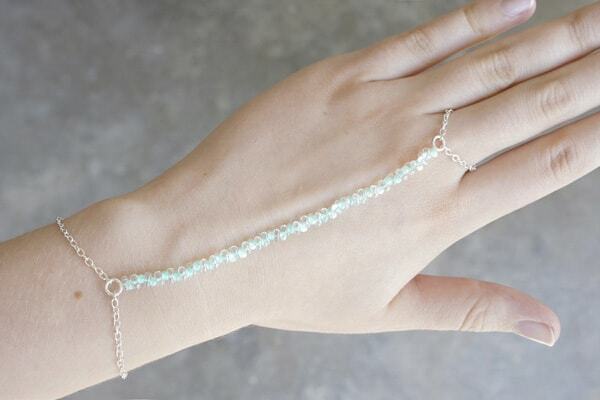 This lovely bracelet may look complicated but it only starts out with a pen and paper. Draw the words or image you want without passing the same point twice – copy this with your metal wires and you’re all set! 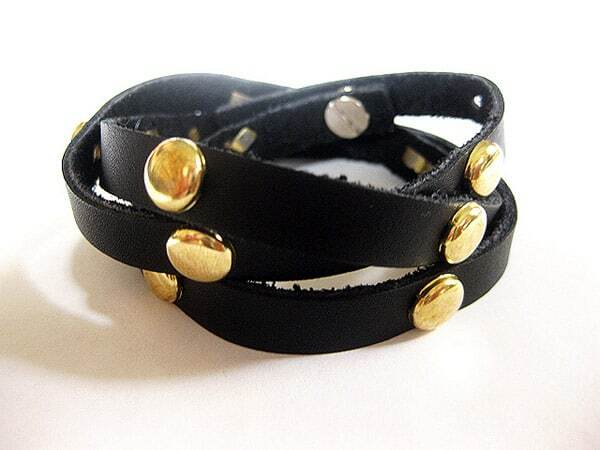 If you love affordable accessories, you likely have a set of scratched-up bangles kicking around your jewelry box. 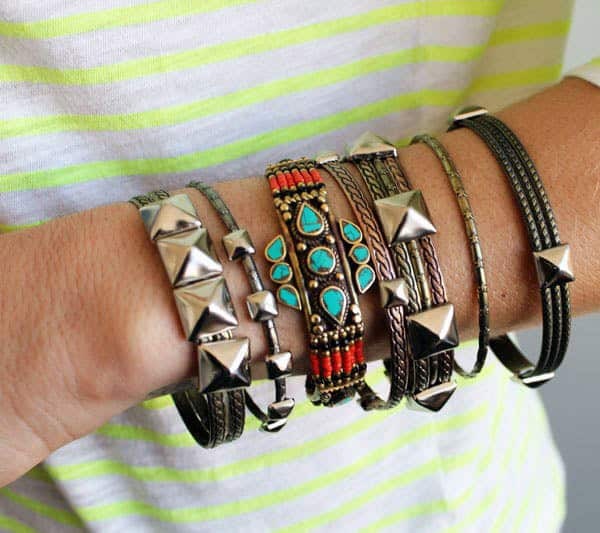 Time to transform them into brand new bracelets – all you need is a handful of studs and your trusty needle-nose pliers. It’s such a fun material to work with because if you mess up… you just mash it all up and start again. 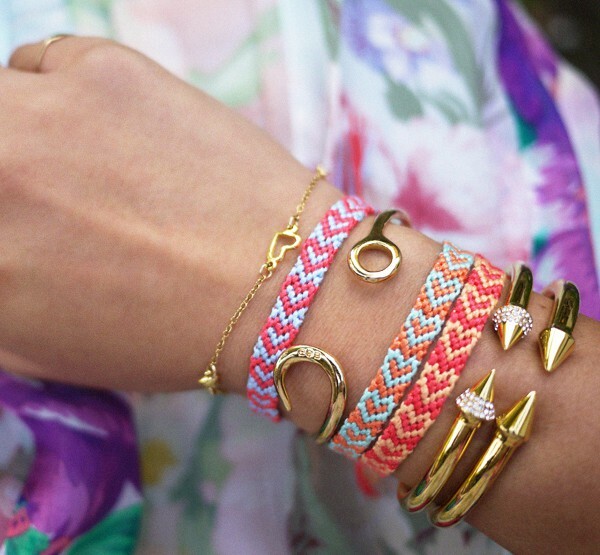 Have a little wrist party and make as many as you want! 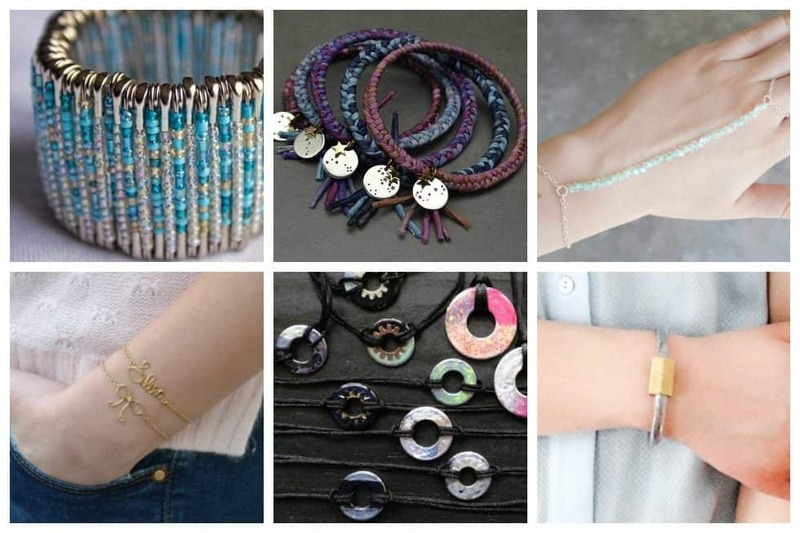 Can you picture yourself and various wardrobes that would go great with these easy DIY bracelets? 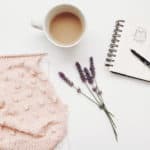 I bet there are a more than a couple that you’d want to make in this list – they are so pretty!